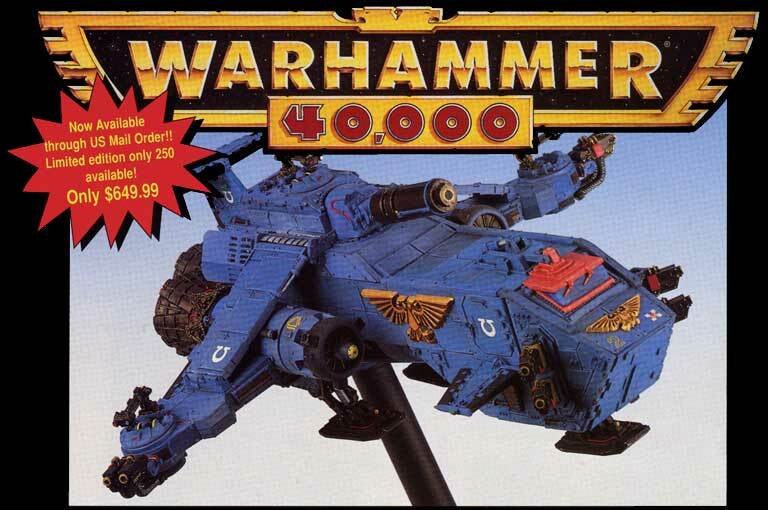 Games Workshop has had a TON of kits over the years. 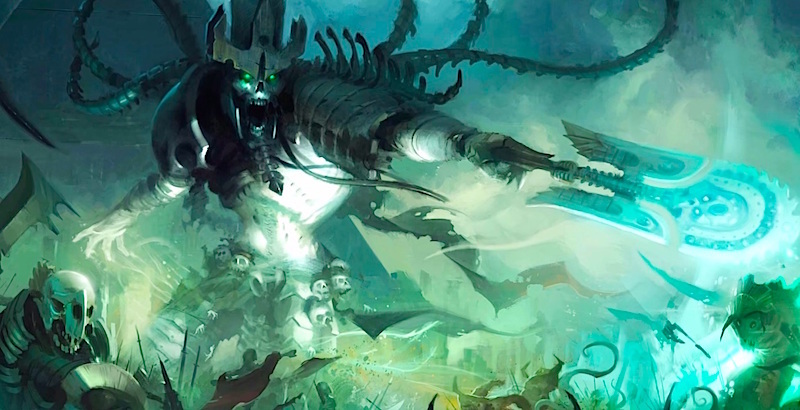 Today we’re looking at our lists of the 5 most terrifying creations to come out of Games Workshop’s forges! Fear and Terror can take many forms for folks. Sometimes all it takes is a certain look. Maybe a shadow in the corner. Maybe a unsuspecting snarl from the dark. Sometimes is the slow building of anxiety that creeps-up in your stomach only to keep building to an unbearable feeling of overwhelming that floods through you! Yes… fear and terror cause the heart rate to speed up, the pupils to dilate, and that unmistakable shot of adrenaline in the veins. In honor of Halloween, today we’re looking at the top 5 scariest miniatures Games Workshop has ever produced. We’re going to toss in some old school miniatures and even some nightmares from Forge World, too. Here they are – presented in no particular order! Behold the terror of leg day! 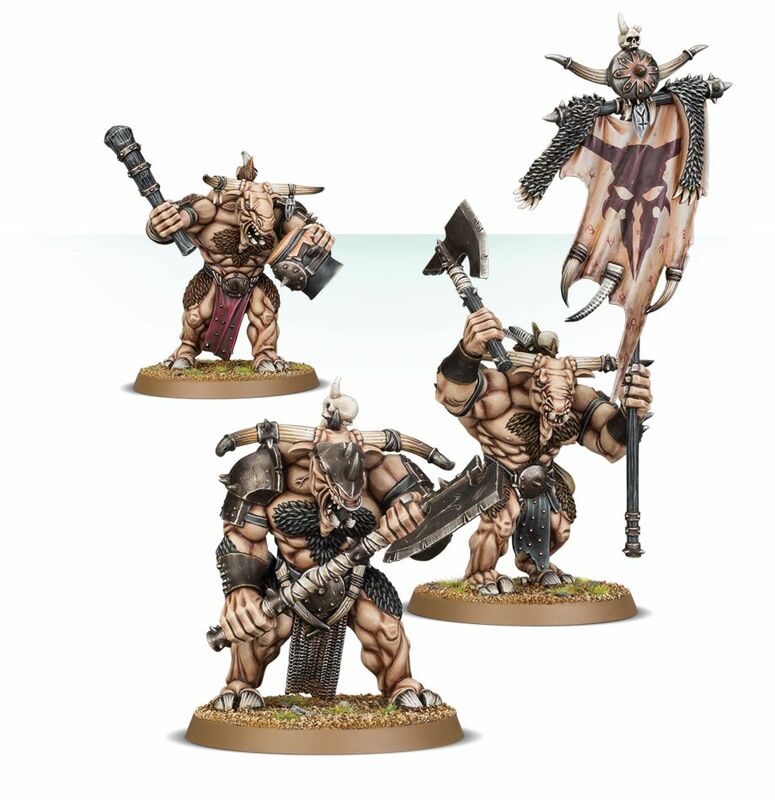 The Bullgor miniatures are truly terrifying. Look at their overwrought musculature. What unholy creatures are these!? They are the TRUE sign of chaos unfiltered. With their twisting muscles and Zengief-like chest hair…only the dark gods of chaos could have created a creatures so foul!!! Oh yes…the Metal Thunderhawk. If you’ve never felt the dread of having to work with metal consider yourself lucky. Compound the difficulty of working with metal (the need for super glue, pinning, and the weight) with the dangers of transporting this miniature. Imagine having spent HOURS of painstakingly building and painting this model only to put it on the base, carefully balancing the top-heavy metal deathtrap, only to have some one bump the table. Do you feel that? The lump in your chest that just formed. The tightening of your cheeks as your muscles contort into tense knots – and then the CRASH! The sound of metal bits SHATTERING into pieces across the floor. All that work…gone. That, dear readers, is true terror. Don’t look directly into it’s EYES! Oh no! Too late – now he’s got you in his gaze. Turn away if you can!!! It won’t matter for that red-hateful glare is now seared into your memory and will haunt you in your dreams. 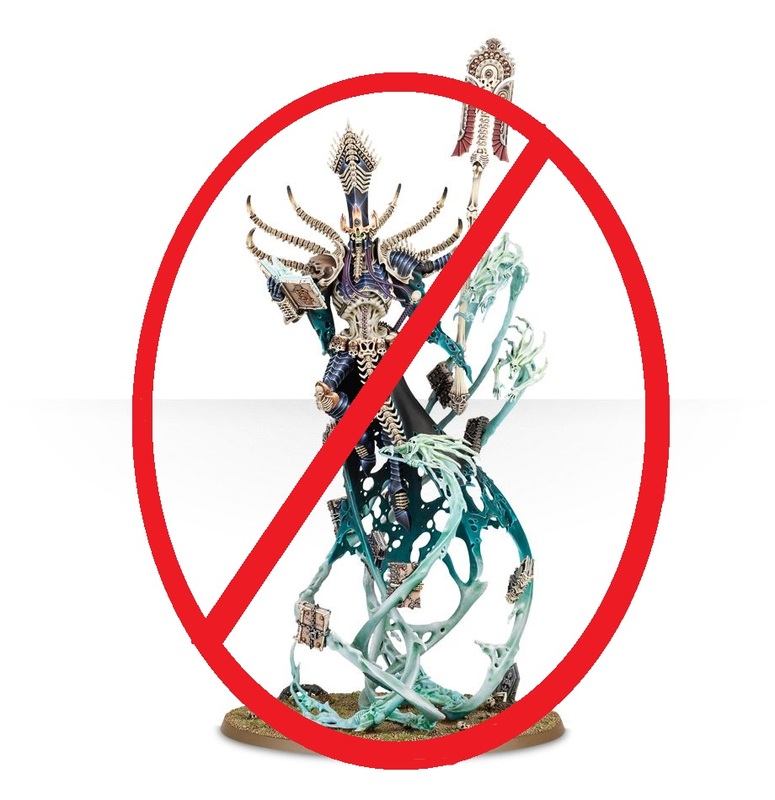 Pray you never come across this miniature on the tabletop…for if you do, you’ve already lost. Aside from the jump-scare style sticker shock that is associated with the Warlord Titan, let’s just pretend you overcome that initial hurdle and buy one. Good for you! Now the TRUE terror can begin – because now you have to build it. 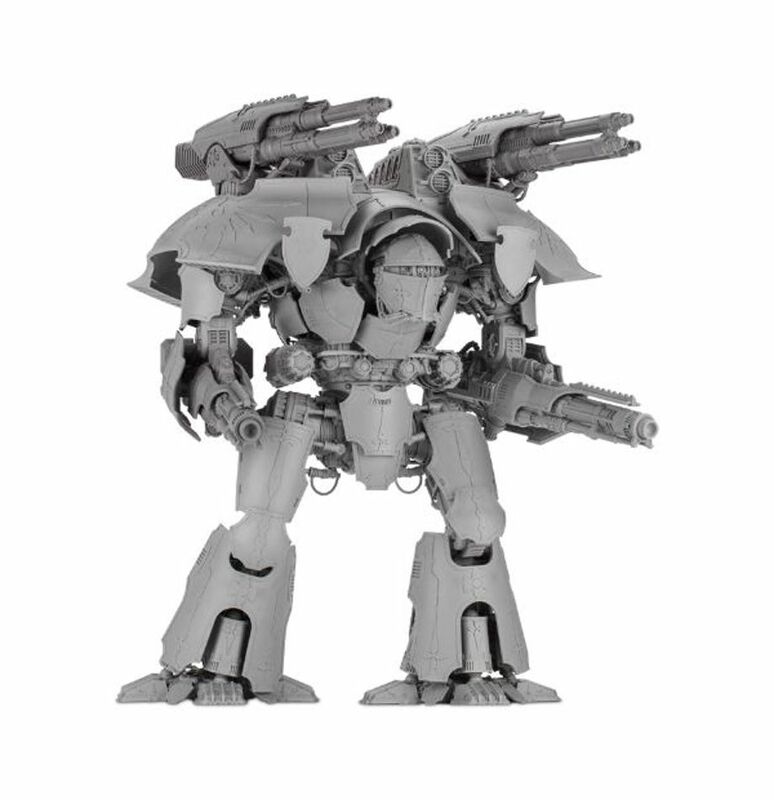 All that resin…and you ARE going to magnetize those weapon options, aren’t you? And let’s not forget about the paint job. 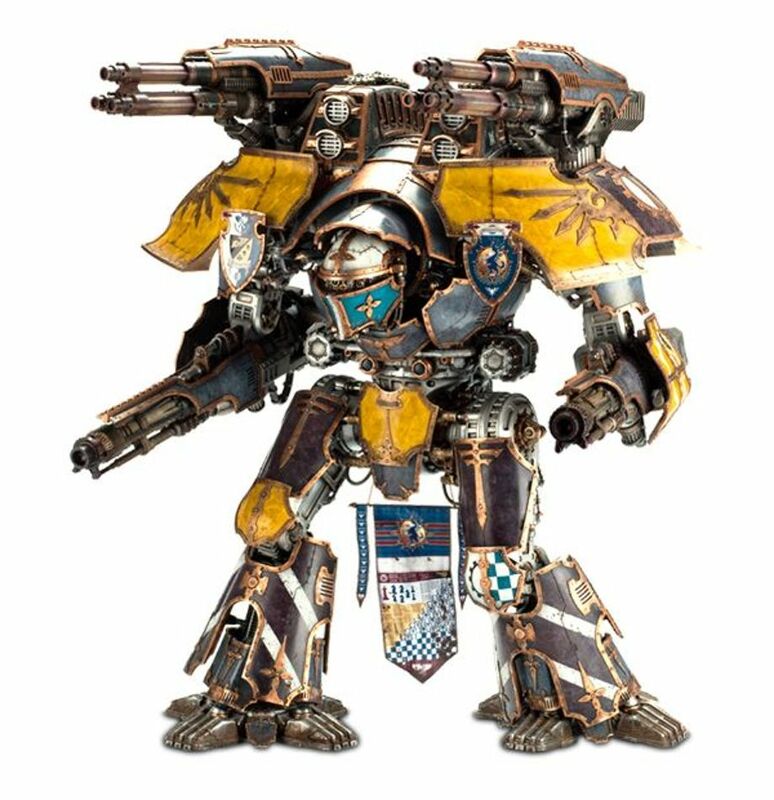 You’re not going to drop $2000 on a “miniature” to have to look like it was painted by a 4 year old with a box of crayons, are you? I hope you’ve reinforced your hobby desk for this task. Enjoy that mountain you’ve decided to die on. Maybe practice on the smaller version first. Ahh the Bigfoot of 40k! Sure, there are rules and “miniatures” available…but have you ever actually SEEN them on tabletop? Like ghosts, all the evidence we’ve seen for their existence points strongly to “maybe? !” The cynical readers out there aren’t swayed by your rag-tag “EMF” readings or your “ghost light” specs of dust in photos. Vespids “exist” on paper and we’ve got the same photographic “evidence” as everyone else…but we’re still not convinced. 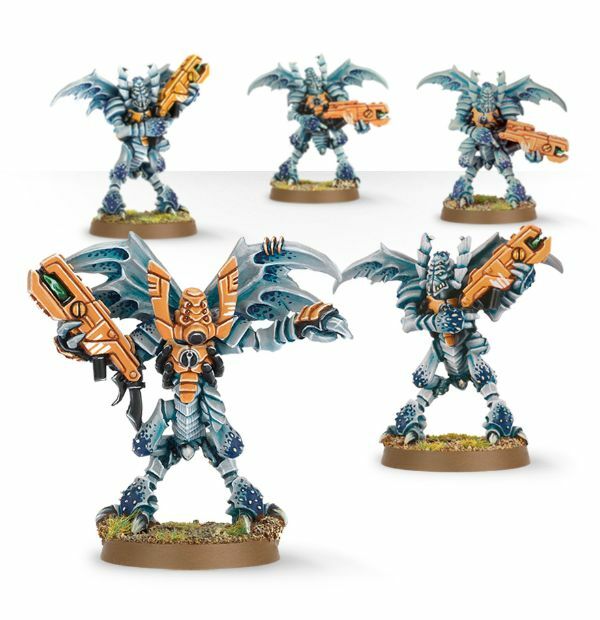 If GW had a global shortage on these miniatures for the last 5 years, would anyone notice? We don’t think so. And THAT is truly terrifying! Happy Halloween! 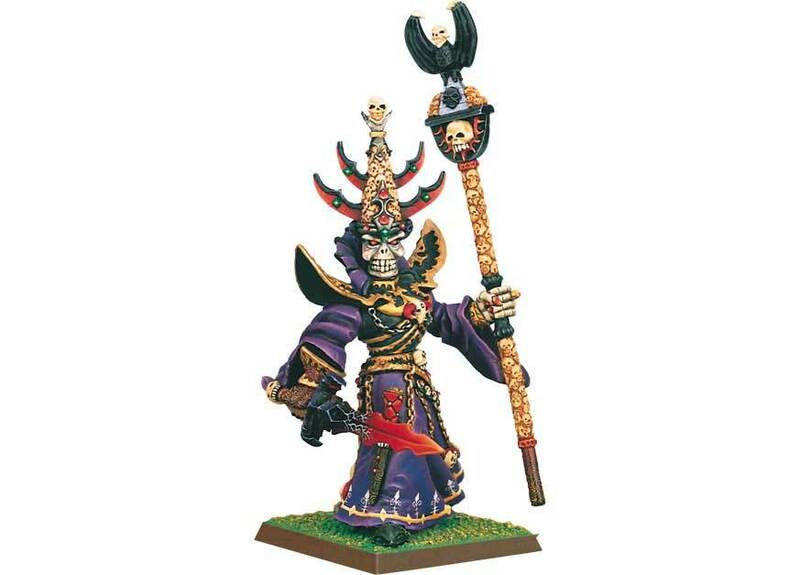 What model from GW do you think is truly terrifying and why? Now let us know your hobby horror stories in the comments!